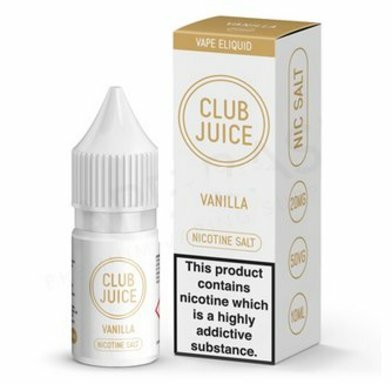 Club Juice Vanilla Nic Salt E-Liquid | Electronic Cigarette Co. Vanilla salt nicotine e-liquid by Club Juice is a dark and sweet blend. 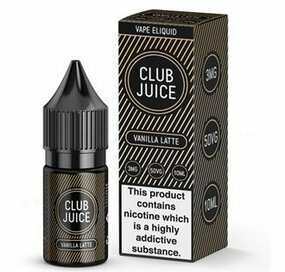 There's the taste of rich coffee with nutty notes to start, and a smooth aftertaste complemented by a light vanilla exhale. You may find the vanilla flavour dominates depending on the device you're using.